Chile declared its independence from Spain on Sept. 18, 1810. The South American country has a turbulent history — and one of the richest literary traditions in the world. 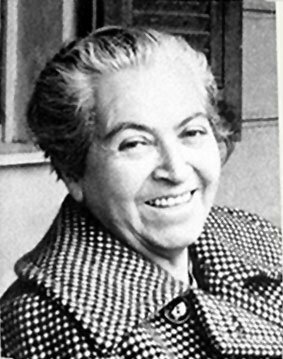 • The only Latina to win the Nobel Prize in Literature, Gabriela Mistral (1889-1956) is best known for her poems that touch on the subjects of children and motherhood, such as in the book Ternura (Tenderness). Mistral is the subject of her own children’s book, My Name Is Gabriela: The Life of Gabriela Mistral, written by Monica Brown. • Pablo Neruda‘s (1904-1973) love poems have made him one of the most beloved poets in the world, winning the Nobel Prize. 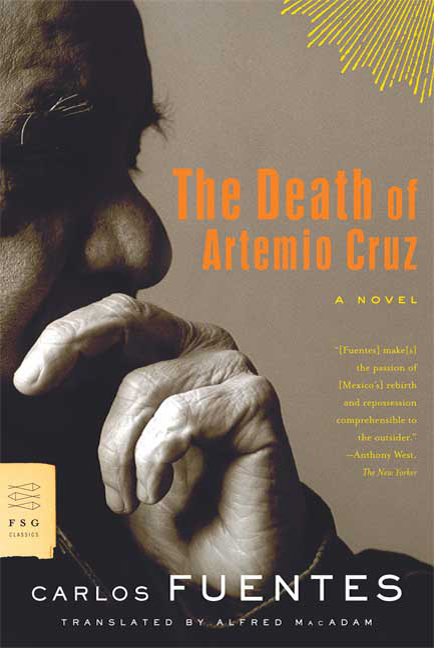 He is featured as a character in Antonio Skarmeta’s Il Postino, which was made into a 1994 Academy Award-nominated movie, and is the subject of Roberto Ampuero’s excellent The Neruda Case, which shows him in the last days of his life as he reflects on his past loves and President Salvador Allende’s government is about to be overthrown. • Besides Il Postino, Antonio Skarmeta has written some other memorable works, including the children’s book The Composition, named one of Scholastic Parent & Child’s 100 Greatest Books for Kids, and the play El Plebiscito, a story about the advertising campaign against President Augusto Pinochet that became No, a 2012 Oscar-nominated film. 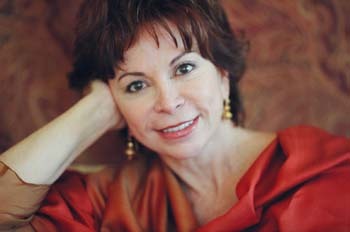 • Isabel Allende has won worldwide acclaim for her books that depict life in Chile, including The House of the Spirits, Eva Luna, Daughter of Fortune and her most recent novel, Maya’s Notebook. 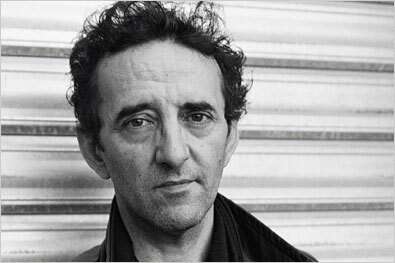 • The novels of Roberto Bolaño (1953-2003) — such as 2666, winner of the National Book Critics Award — have become more popular after his death. He also won the Romulo Gallegos Prize for The Savage Detectives. • Winners of the Cervantes Prize, given to Spanish language writers, include Jorge Edwards, Gonzalo Rojas and Nicanor Parra. Other contemporary Chilean writers include Alejandro Zambra, right, author of Ways of Going Home. The Hispanic Reader is two! 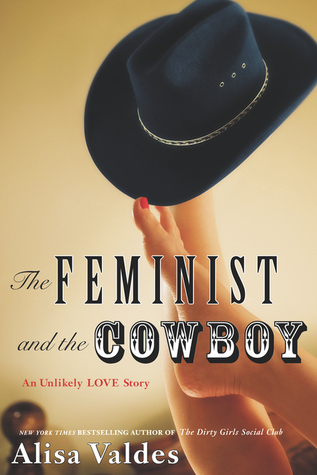 • Just released: In The Feminist and the Cowboy: An Unlikely Love Story, Alisa Valdes recounts her relationship with a man with opposite views. In an intriguing article in Salon, Valdes said the relationship was abusive. In The Tragedy of Fidel Castro, Portuguese writer Joao Cerqueira imagines how Jesus Christ would settle the battle between Cuban dictator Fidel Castro and U.S. President John F. Kennedy. 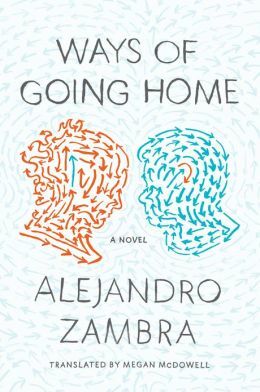 • Jan. 8: Chilean Alejandro Zambra depicts life in the Pinochet-era Chile in the novel Ways of Going Home. • Jan. 10: The Miniature Wife and Other Stories is a quirky collection of 18 short stories from Tejano Manuel Gonzales, whose work has appeared in The Believer and Esquire. • Junot Díaz (right) and Francisco Goldman will speak at “A Benefit Evening of Latin American Storytelling,” Feb. 5 in New York City, with proceeds going to Radio Ambulante. Radio Ambulante’s executive producer, Daniel Alarcon, will moderate. • The literary magazine BorderSenses is taking submissions until March 31 for its next issue. The publication will take short stories, poetry and book reviews in English and Spanish, as well as artwork. Write to editor@bordersenses.com. • Cuban-American poet Richard Blanco will read a poem at President Obama’s inauguration later this month, becoming the first Latino to hold that honor, NPR reports. He was also profiled in The New York Times. 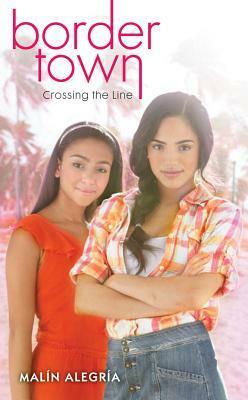 • In a much-discussed article, The New York Times wrote about the lack of Latino-oriented books for children. In a follow-up article, Aurora Anaya-Cerda of La Casa Azul Bookstore in East Harlem, N.Y., gave her reading recommendations. Many small publishers felt they were not represented in the article, and Publishers Weekly featured those presses, including Lee and Low Books and Arte Público. • Arte Público books, which recently moved into new headquarters, was recently profiled in The Houston Chronicle. • ABC News/Univision marked the 50th anniversary of the Latin American Boom in literature. • Book editor Marcela Landres delivered her list of the best in Latino literature for 2012. 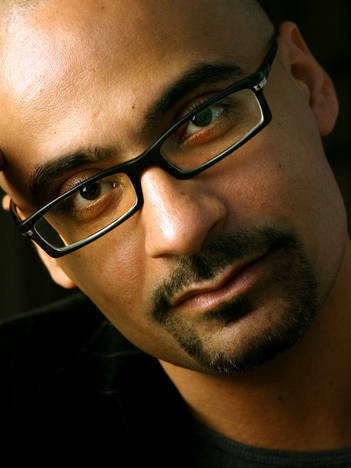 • Junot Díaz talked with NBC Latino about how he found his literary voice. He also discussed his love for libraries, politics and the greatness of Star Wars on the TV show Moyers & Company. • Joy Castro talked to the Lincoln Journal-Star about the prospect of her 2012 book, Hell or High Water, being optioned by actress Zoe Saldana for a possible movie or TV show. • Sandra Cisneros’ The House on Mango Street and Paulo Coelho’s The Alchemist are among the 30 selections for World Book Night, in which volunteers will give out books April 23. Sign up to be giver by Jan. 23. • Cisneros remembered Mexican singer Chavela Vargas, who passed away last year, in The New York Times. • Chilean Roberto Ampuero, author of The Neruda Case and his country’s ambassador to Mexico, was profiled in The Wall Street Journal. • The film version of Rudolfo Anaya’s Bless Me Ultima is coming to the big screen, reports the Huffington Post. The Hispanic Reader will be taking a long hiatus, so here’s the new releases, events and holiday books to keep you entertained for the rest of the year. See you in 2013. 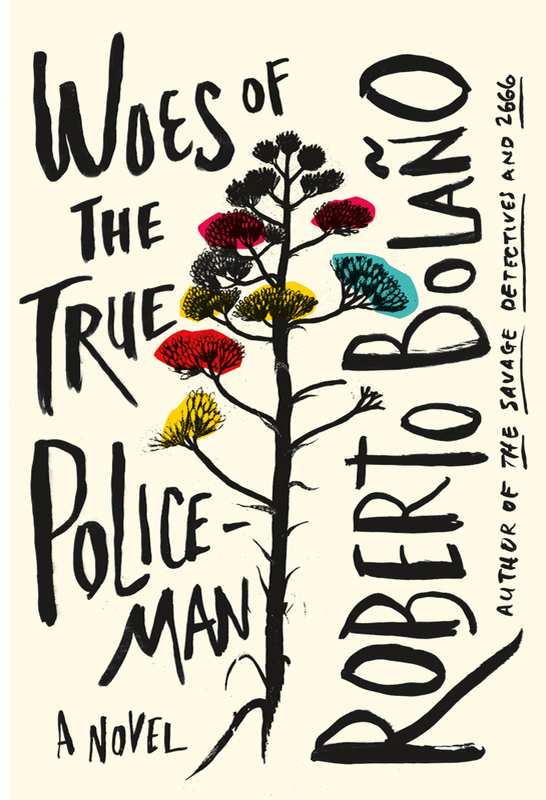 • Nov. 13 – Woes of the True Policeman is the last book Roberto Bolaño wrote before his death. 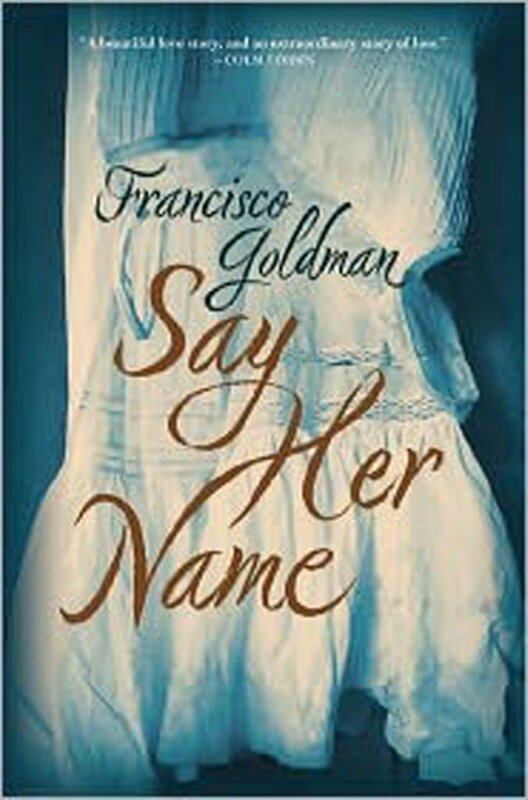 The novel follows a Chilean professor as he undergoes several personal crises. • Nov. 30 – In the children’s book The Poet Upstairs by Judith Ortiz Cofer, a young girl makes friends with a writer. 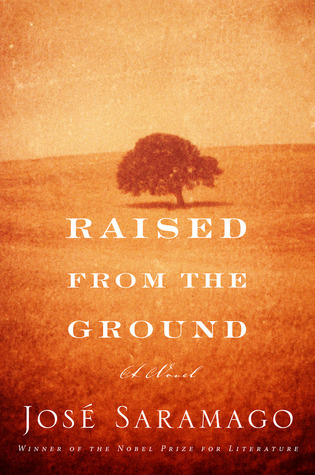 • Dec. 4 – Raised From the Ground, by the late Nobel Prize winner José Saramago, is a reissue of a book – published for the first time in English – that depicts the lives of Portuguese peasants. • Dec. 11 – The children’s book The Beautiful Lady: Our Lady of Guadalupe by Pat Mora features the iconic Mexican figure. 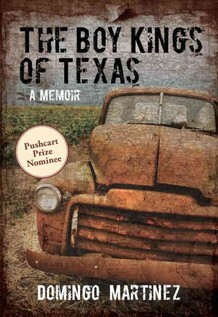 • The National Book Awards announced its nominations, with Junot Díaz’s This is How You Lose Her shortlisted in the fiction category and Domingo Martinez’s The Boy Kings of Texas making the non-fiction category. Martinez spoke to NPR about how he learned about his nomination. Winners will be announced Nov. 14. 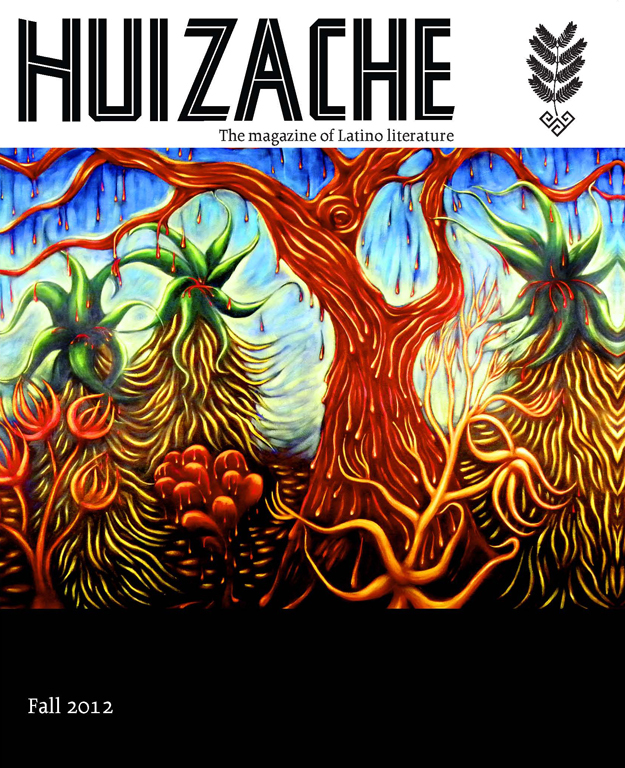 • The second issue of the literary magazine Huizache, produced by CentroVictoria – the Center for Mexican American Literature and Culture at the University of Houston-Victoria, is out. Contributors include Lorna Dee Cervantes, Rigoberto Gonzalez, Luis J. Rodriguez, Michele Serros and Gary Soto. • The Miami Book Fair Festival International takes place Nov. 16-18. Featured authors include Malin Alegria, Roberto Ampuero, Joy Castro, Sandra Cisneros, Jeanne Cordova, Junot Díaz, Christina Diaz Gonzalez, Reyna Grande and Justin Torres. 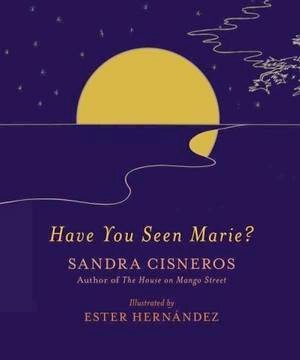 • Sandra Cisneros discussed her newest book, Have You Seen Marie?, to NBC Latino, CNN and the LA Review of Books. • Junot Díaz talked to Wired magazine about the science-fiction book he’s writing, Monstro, and to LA Review of Books about his current book, This Is How You Lose Her. 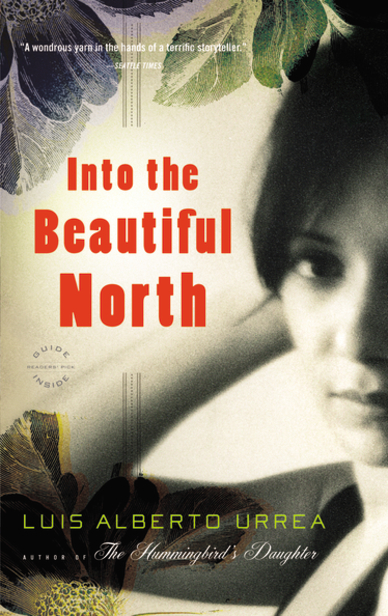 • Luis Alberto Urrea’s Into the Beautiful North has been named a 2013 Big Read selection by the National Endowment for the Arts. • Pulitzer Prize winner Oscar Hijuelos will be featured in Symphony Space’s Artful Dining fundraiser Nov. 12 in New York City. Sonia Manzano will lead the discussion. • Mexico City celebrated the 50th anniversary of Gabriel Gárcia Márquez’s move to that city by putting up posters honoring him, according to an article by Héctor Tobar in the Los Angeles Times. Tobar also wrote about a MacArthur Grant-winning Orange County barbershop that features a bookstore and is teaming up with Chapman University to promote Latino literature. • Ploughshares magazine talked to Aurora Anaya-Cerda, owner of the La Casa Azul Bookstore in East Harlem, N.Y., that is devoted to Latino literature. • Voices of New York wrote up about the Las Comadres Para Las Americas writer’s conference last month, with some interesting insights about Latinos in publishing. • Want a blog that features the poetry of Pablo Neruda with pictures of cats? Here you go. • Celebrating birthdays in November: The late Carlos Fuentes, right, and Nobel Prize winner José Saramago. • Celebrating birthdays in December: Sandra Cisneros, Nobel Prize winning poet Juan Ramon Jimenez and Manuel Puig. • Looking for gifts for the holidays? Here some some Christmas books for children and adults. Already released: Rigoberto González’s Mariposa Gown – a sequel to The Mariposa Club –depicts the friendship between three teenage boys who want to make a splash at their high school prom with the titular outfit. 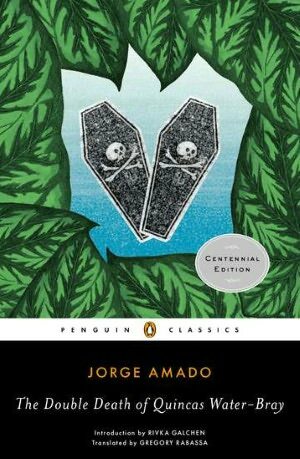 Brazilian writer Jorge Amado‘s The Double Death of Quincas Water-Bray and The Discovery of America by the Turks have received new translations from Gregory Rabassa. To mark Amado’s 100th birthday, Rabassa and writer Rivka Glachen will discuss Amado’s work Sept. 17 at the Queen Sofia Spanish Institute, reports the Shelf Awareness newsletter. The Millions website also wrote about the two new releases. 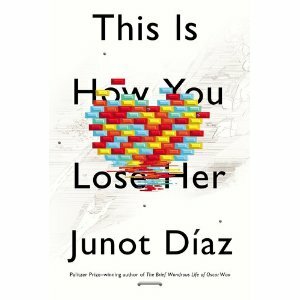 • Sept. 11: Pulitzer Prize winner Junot Díaz will release a collection of short stories, This is How You Lose Her. Here’s a cool Pinterest board by blogger Poornima Apte that shows the town and other details from the book. (She did the same for Roberto Ampuero’s The Neruda Case and other books.) Díaz has been all over the media: dressing up in Edith Wharton-era clothes for a Vogue fashion spread; discussing his love life in New York magazine; sharing his reading habits with The New York Times; and compiling a playlist to NPR’s alt. Latino website. 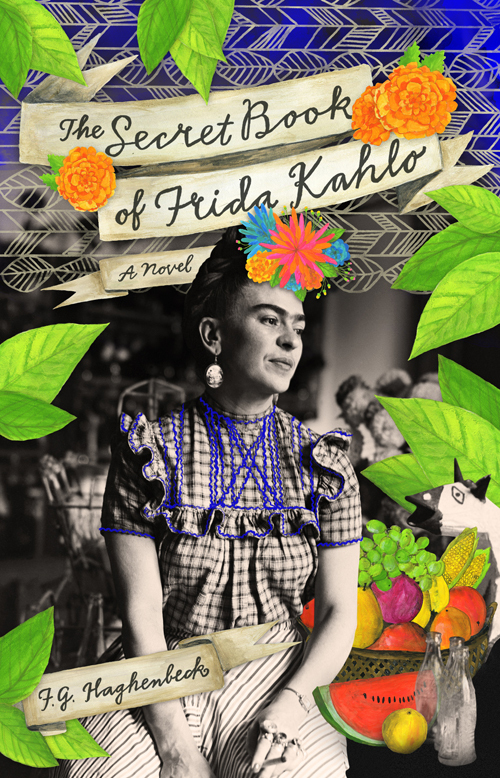 • Sept. 25: In the novel The Secret Book of Frida Kahlo, Mexican writer F.G. Haghenbeck writes about the life of the iconic Mexican artist. 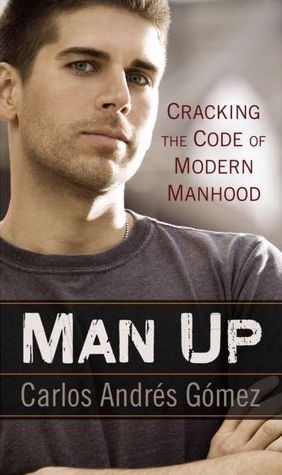 • Sept. 27: Spoken word poet Carlos Andrés Gómez discusses how masculinity is evolving in Man Up: Cracking the Code of Modern Manhood. • Sept. 15: Houston Librofest will play host to Gwendolyn Zepeda (right), Javier O. Huerta and Sarah Cortez. • Sept. 22-23: The National Book Festival in Washington, D.C. will feature Sandra Cisneros, Junot Díaz, Mario Vargas Llosa, Justin Torres and Maria Dueñas. Mexican-born, California-based Rafael Lopez is the festival artist. • Sept. 23: The Brooklyn Book Festival will include Carlos Andrés Gómez, Charles Rice-Gonzalez, Reyna Grande, Esmeralda Santiago, Luis Alberto Urrea, and graphic artists Gilbert & Jaime Hernandez. • Sept. 28-30: The Baltimore Book Festival will feature Caridad Pineiro and Carmen Ferreiro-Esteban. • Several Latino-oriented literary magazines are out with new issues. Acentos Review, edited by Bonafide Rojas, focuses on music on its August 2012 edition. The bilingual BorderSenses published its 18th volume. Lorna Dee Cervantes, Rigoberto Gonzales and Andrea J. Serrano are featured in the latest issue of the Mas Tequila Review. • The fall issue of Zyzzyva magazine, which is devoted to West Coast writers, features works by Dagoberto Gilb and Luis Alberto Urrea. • Sept. 21: Librotraficante, which was founded earlier this year to protest the state of Arizona’s ban on ethnic studies, will host a 50 States of Freedom of Speech event in honor of Hispanic Heritage Month, which begins Sept. 15. Las Comadres Para Las Americas will host a writer’s workshop Oct. 6 in New York City. Speakers include Sesame Street actress and children’s book writer Sonia Manzano, author of the just released The Revolution of Evelyn Serrano, as well asLyn DiIorio, and Caridad Pineiro. • NPR featured the latest work of graphic comic book artist Jaime Hernandez, creator of the Love and Rockets series. • The El Paso Times has marked the 40th anniversary of the Rudolfo Anaya novel Bless Me Ultima with essays from Rigoberto González, Denise Chávez and other writers. • Argentine writers will now receive a pension, according to The New York Times. • Reyna Grande, author of The Distance Between Us, talked to the Zyzzyva website. • Junot Díaz was among the writers at the Edinburgh World Writer’s Conference who condemned Arizona’s ban on ethnic studies. The Hispanic Reader is one year old today! It’s The Hispanic Reader’s one-year anniversary! Since my first post, I’ve talked to eight authors, marked 18 writers’ birthdays, reviewed 37 books and written 117 posts. To celebrate, I’m giving you a couple of presents. Second, I’ve created a trivia quiz about Latino literature from my posts and book reviews in the past year. (You can find more information about the answers below the quiz.) Good luck and have fun! 1. The answer is D. In the 2001 movie, the flighty Sara (Kate Beckinsale) writes her name and phone number in a copy of Gabriel García Márquez’s Love in the Time of Cholera and tells Jonathan (John Cusack), who she just met, that if their love is meant to be, he will find that copy in a bookstore. Appropriate book since Cholera is about a man who waits 50 years for the woman he loves. 2. The answer is A. 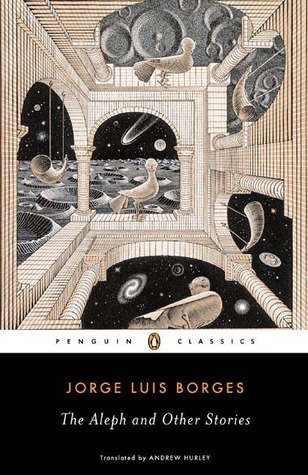 Although he is considered one of the top storytellers in Latino literature, Borges never won the Nobel. Only 12 Latinos have, including Paz, Saramago and Vargas Llosa. But Borges did get a Google doodle on his birthday. 3. The answer is B. Luis Valdez began directing plays on a flatbed truck and union halls during the Delano Grape Strike of the 1960s. His theater company is aptly named El Teatro Campesino. Considered the father of Latino theater, he wrote the play Zoot Suit and the directed the movie version and La Bamba. 4. The answer is C. In Il Postino, Pablo Neruda helps an Italian postal carrier woo his love. The 1994 film, based on an Antonio Skarmeta book, earned a Best Picture nomination. 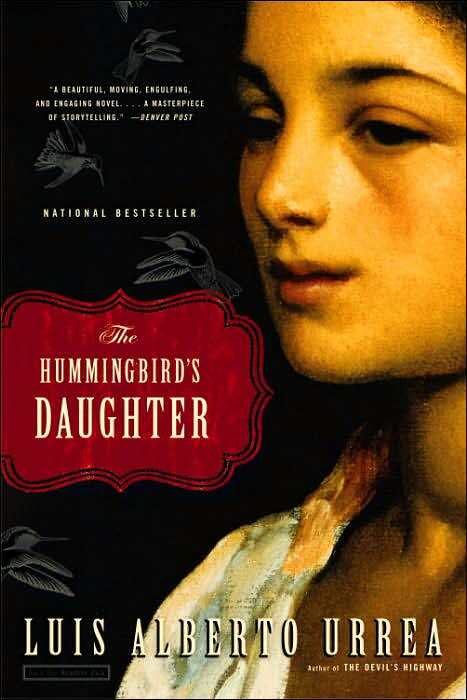 The other answers were books – by Laura Esquivel, Isabel Allende and Carlos Fuentes – that also were made into movies. 5. The answer is B. Loving Pedro Infante by Denise Chávez takes place in the tiny fictional town of Cabritoville, near El Paso. 6. The answer is B. Malín Alegría dons the elaborate dress in honor of her book Estrelle’s Quinceañera, one of many books about the popular Hispanic tradition. 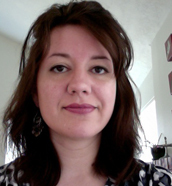 Veronica Chambers wrote the Magdalena and Marisol books; Diana López penned Choke; and Lorraine López authored The Realm of Hungry Spirits. 7. The answer is D. Kiss of the Spider Woman by Manuel Puig is considered one of the most famous works in Latino literature of the last 50 years. 8. The answer is A. Hanks read Gabriel García Márquez’s One Hundred Years of Solitude in the classic comedy caper. 9. 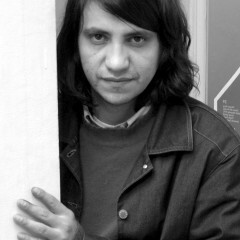 The answer is D. Quiara Alegría Hudes won the 2012 Pulitzer Prize in Drama in 2012 for her play, Water by the Spoonful. 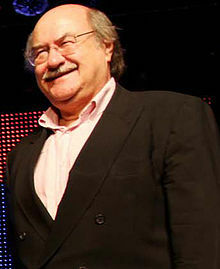 Hudes, who also wrote 26 Miles and co-wrote the Tony-winner In the Heights, is one of the few Latinos to win the American award for literary arts and journalism. 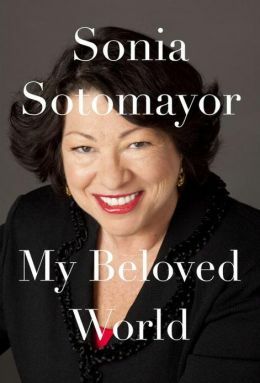 Although they have not won the Pulitzer, Julia Alvarez, Sandra Cisneros and Cristina García have written novels that have received strong critical acclaim. 10. The answer is C. Pablo Neruda knew Gabriela Mistral when he was growing up in Temuco, Chile. Fuentes and Paz are from Mexico. Allende is from Chile, but a generation younger than Neruda. Her uncle, President Salvador Allende, was friends with Neruda, a relationship depicted in Roberto Ampuero’s The Neruda Case. 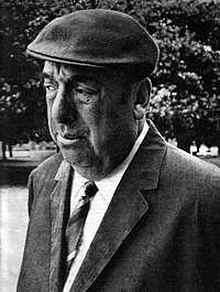 Pablo Neruda was born July 12, 1904, and died Sept. 23, 1973. 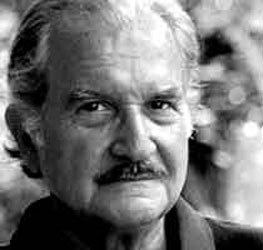 He is Latino literature’s best known poet, winning the Nobel Prize for Literature in 1971. He grew up in Temuco, Chile, where he knew future Nobel Prize-winning poet Gabriela Mistral, and started writing as a young boy. He wrote his poetry while serving as a diplomat and in the Chilean Senate. While best known for his love poems, Neruda’s Communist viewpoints are reflected in works such as Canto General. His popularity has made him the subject of two novels. In Antonio Skarmeta’s Il Postino, he inspires an Italian postal carrier to write poetry to woo a young lady. The book was made into the 1994 Academy Award-nominated movie. (The DVD includes a 30-minute feature about his life, with celebrities such as Madonna and Samuel L. Jackson reading his works.) 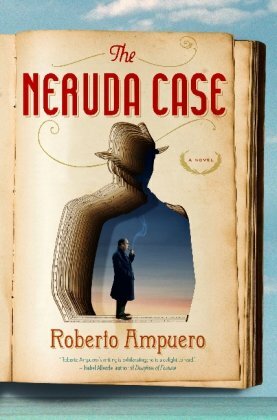 In Roberto Ampuero’s excellent The Neruda Case, Neruda is shown in the last days of his life – reflecting on his past loves as he is dying of cancer and the Chilean government is about to be overthrown. If you want to introduce children to Neruda, check out Monica Brown’s Pablo Neruda, Poet of the People and Pam Muñoz Ryan’s award-winning The Dreamer. Read more about Neruda on the Poetry Foundation website and the Poets.org website.